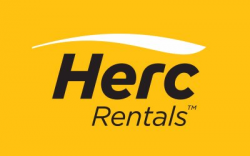 Herc Rentals Inc. is a premier, full-service equipment-rental firm ― providing our customers the equipment, services and solutions they need to achieve optimal performance safely, efficiently and effectively. With more than 50 years of equipment-rental expertise, approximately 4,600 employees and approximately 280 company-owned branches around the world, including 270 in the United States and Canada, Herc Rentals serves a broad range of customer end user markets, including construction, industrial, government, infrastructure, remediation, emergency response, entertainment and events, facilities and maintenance. A pioneer of the equipment-rental industry, Herc Rentals continues to evolve and grow through technological innovations, expanded product offerings and value-added services and consultative solutions to support its customers’ projects. • We strive to have the best and broadest selection of premium rental equipment available and ready when our customers need it, ensuring it performs as promised and providing unsurpassed customer service at every opportunity. • We continuously seek to create a supportive, inclusive and collaborative work environment that offers excellent career opportunities, along with training and tools to enable our employees’ success. • And, with our Herc Holdings Inc. parent entity trading on the New York Stock Exchange as “HRI,” we are focused on performing as a top-tier business ― operationally and financially ― and continuously earning investors’ confidence in our team. 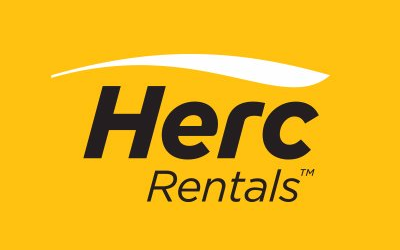 • With more than 50 years of equipment-rental expertise, Herc Rentals is one of the leading equipment-rental companies in North America. • We serve the construction and industrial segments and also provide solutions for government entities, infrastructure, remediation, emergency response, entertainment and events, and facilities maintenance. • We have approximately 4,600 employees and approximately 280 company-owned branches worldwide. • The majority of our business derives from North American operations, with approximately 270 company-owned branches generating more than 98% of our revenues. • We own approximately $3.5 billion in fleet. • We have total revenues of approximately $1.6 billion. • Ranked by revenue, we are the world’s third largest equipment-rental firm, according to Rental Equipment Register. • We continue to evolve and grow through technological innovations, expanded product offerings and value-added services and consultative solutions to support our customers’ projects. • Our “Herc Way” operating model ensures a consistent branch-to-branch approach to managing, servicing and repairing our fleet, and gets equipment back on the ready line rapidly and improves our opportunities to serve more customers.